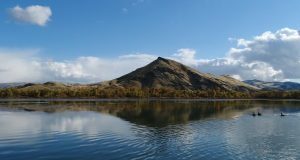 Located eight miles north of Eagle in the foothills above Boise, Avimor is a charming community built around a central village square. From nearly anywhere in Avimor, a beautiful hike in Idaho’s famous foothills is just a few steps from your backyard. With a myriad of paths to take, thousands of acres of open space, and over 100 miles of trails, Avimor welcomes those who seek a healthy, active lifestyle. Avimor residents enjoy holiday festivals, concerts, art shows, and sporting events hosted on the vibrant main street and inside the spacious community center. Avimor strikes the perfect balance between staying close to the city while also embracing the great outdoors, giving residents access to both an urban lifestyle and the natural environment. Those who cherish small-town values and are inspired by a sense of community are sure to appreciate Avimor. While Avimor places a lot of value on the community, the most important part of any community are its members. Avimor celebrates its members in a variety, and this is readily apparent at its community center. 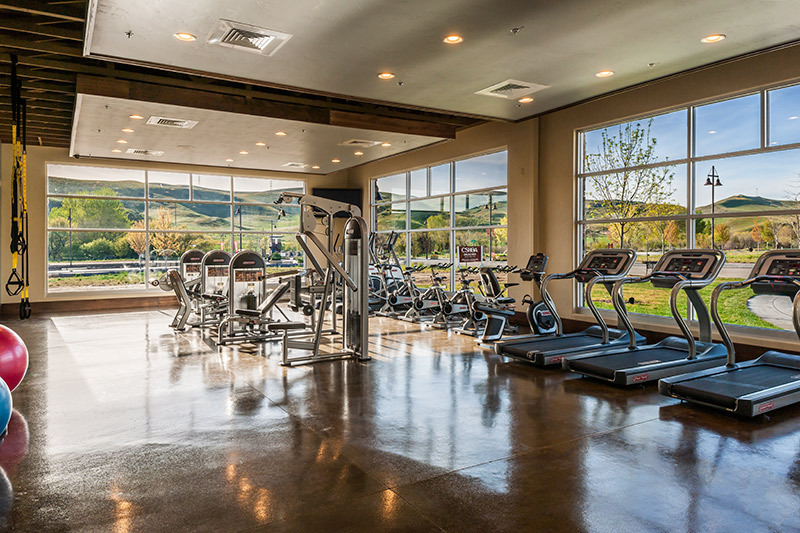 The 12,000 square foot center boasts a large fitness room and both indoor and outdoor swimming, with expansive windows opening to views of the gorgeous foothills beckoning from just outside. 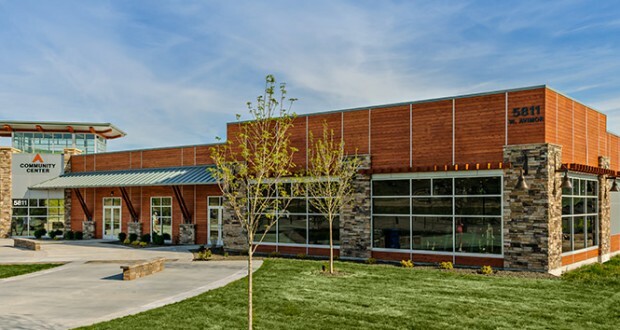 In addition to this, the community center amenities include a staging kitchen, an Ada County library annex, expandable class and meeting rooms, a lounge, and outdoor activity areas. The heated pool opens up to a large, landscaped outdoor patio with numerous picnic tables. The fitness room, plus locker rooms and multiple meeting spaces, open to an outdoor square that can accommodate patio events. The community center also contains bulletin boards and a continually revolving video screen that shows upcoming events and photos of Avimor activities. Designed by Boise architecture firm CSHQA, the community center is a large, architecturally stunning building, which can accommodate many people and a variety of activities. 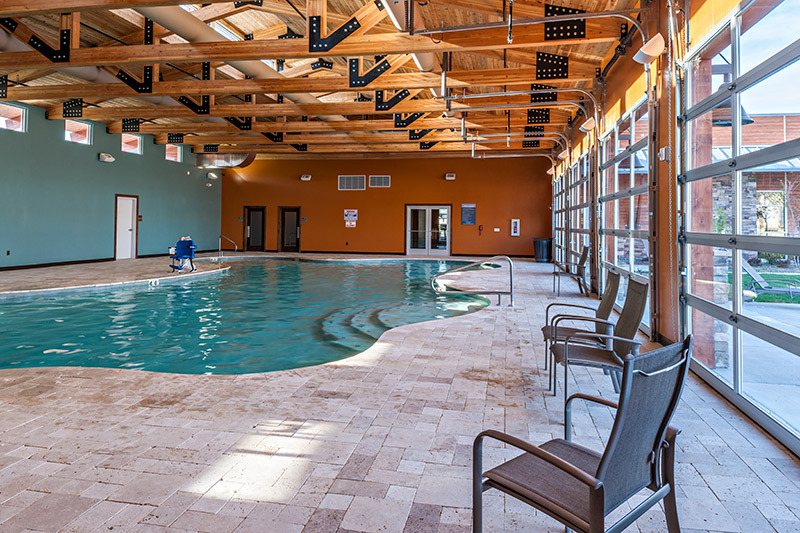 The architectural design of the pool features a beautiful cedar tongue and groove ceiling with large, over-sized trusses. The pool’s free-flow design is multi-functional, and it can accommodate water basketball, volleyball games, and even includes a toddler play area. The swimming pool and locker rooms are handicapaccessible and are spacious for easy access. The heated salt water pool is easier on your skin and swimsuit than a traditional chlorine pool, but is just as safe. State-of-the-art equipment in the fitness room includes three treadmills, three spin bikes, one stationery bike, three stair climbers, three TRX stations, two free weight stations, and a fitness circuit featuring four machines, each with multiple settings to strengthen different muscle groups. Currently, Avimor boasts more than 400 community members that it serves with facilities such as these. Two main conference rooms, with a total seating capacity of around 200 people, provide a comfortable location for the community gatherings. Some of the activities offered at the center include Ladies’ Relate & Create Group, the Avimor Recreation Group, the Avimor Book Club, and Ladies’ Bunco Group. Plans are in the works for spin classes and other exercise training classes with a fitness trainer. Residents also have the option of hiring their own, on-site personal trainer. 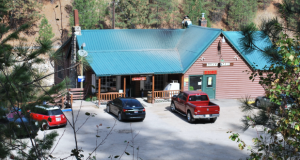 The Avimor Recreation Group, which accommodates all fitness levels, gets together each week to hike, bike, and run the trails, as well as use the fitness facility. This has become one of Avimor’s most popular groups, and plans are underway for organizing exercise classes in the pool and fitness center. “We also anticipate offering wildlife and environmental classes, wine-tasting events, and book signings,” Mick adds. Movie screenings are also planned as a future activity. “The Community Center will be the defining cornerstone of Avimor Village, and it will set the standard and theme for the rest of the Village Center,” concludes Mick. The community center can be rented by non-residents for weddings, conferences, receptions, and other large events, but Avimor residents have priority on its use. The community center is open 5:00 a.m. to 10:00 p.m.
For more information on Avimor, contact Avimor’s Professional HOA Management Group, Advantage Idaho, at (208) 323-1080.